fruits mous comme les kiwis, abricots, ananas etc. 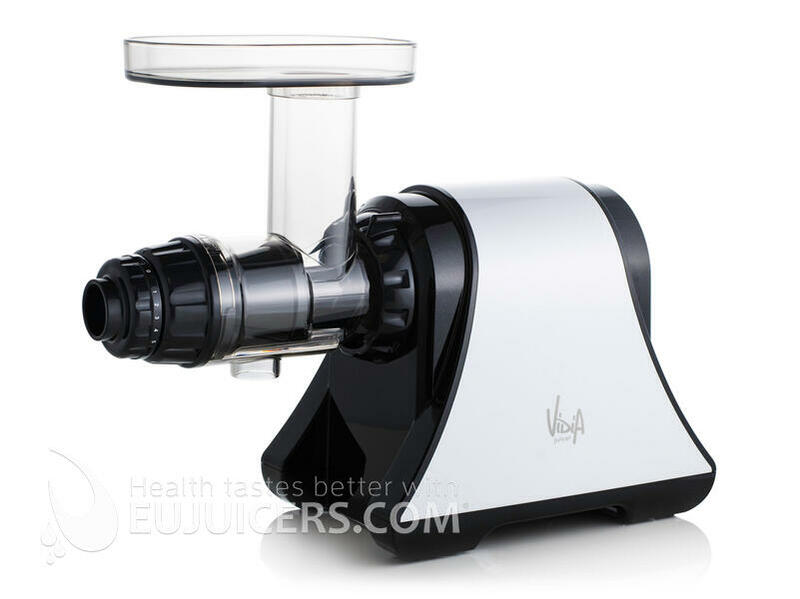 The Vida SJ002 is a compact and versatile juicer. It is able to juice everything from soft fruits to hard root vegetables. With a low juicing speed of 63-75 rpm, the SJ002 provides minimal foam and maximum nutrition. 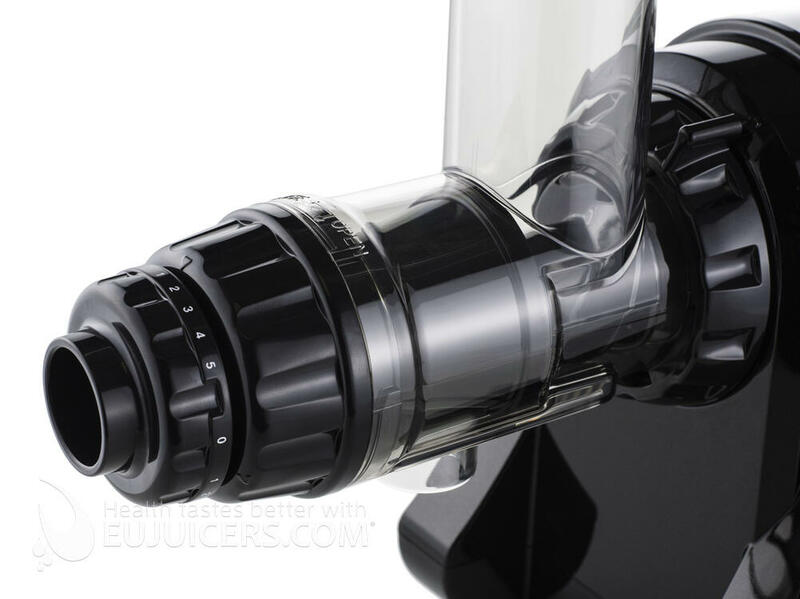 The Vidia SJ002 is equipped with a removable 5-staqge pulp regulator. When used properly, it allows the maximum yield of juice to be extracted from produce. Stage 1 is used for soft produce like tomatoes, kiwi, apples, and citrus. Stage 3 is best for medium produce like melons, cucumbers, and firm apples. Stages 4-5 are used for both hard produce like root vegetables, as well as leafy greens, herbs, pine needles, or even young barley. The Vidia SJ002 also comes with a homogenization screen, which allows you to prepare ice cream, sorbet, nut butters, several types of pasta, or baby foods. It also lets you grind coffee.. The Vidia SJ002 is made from BPA-free materials. 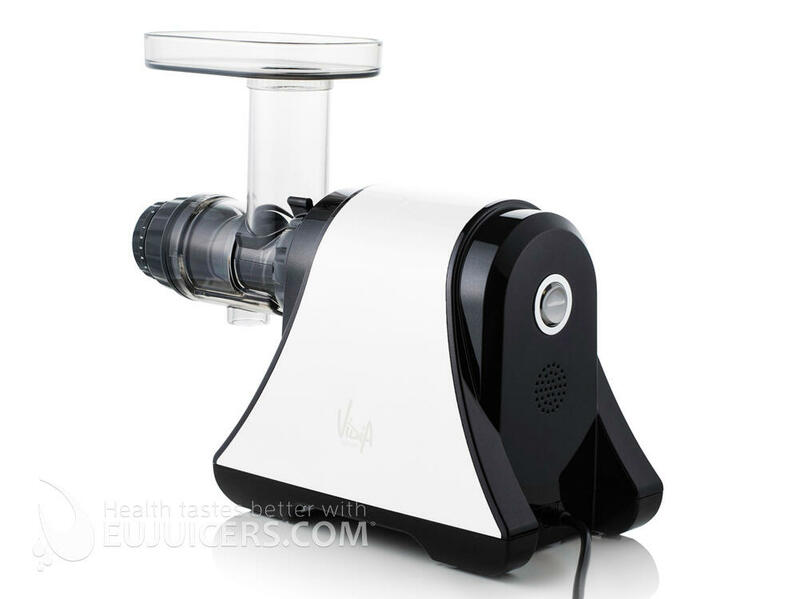 Designed for ease of use, the Vidia SJ002 juicer is a quality juicer with some interesting features. First of all is the new feeding tube, which has been enlarged to allow for bigger pieces of produce. This means less cutting and prepping of your produce. Also, the SJ002 is designed for easy cleaning – just rinse the parts under running water and you’re done. The Vidia also has a pulp regulator, which allows you to increase the back-pressure and get increased yields. It works best with hard and root vegetables, but has a variable adjustment so you can try it with different types of produce. It is best to keep start at the lowest pressure setting, then gradually increase it to maximize your juice yield. At too high of a setting, it can cause too much pressure and clog the unit, especially with soft or fibrous produce. For very ripe or soft fruit, like pineapple, we recommend removing the juice regulator (which can simply be unscrewed from the unit). Cleaning brush for juicer Oscar DA-1200. Drum cap (black) for juicer Oscar DA-1200. Drum for juicer Oscar DA-1200. Auger for juicer Oscar DA-1200. Pusher for juicer Oscar DA-1200. Pasta set for juicer Oscar DA-1200. 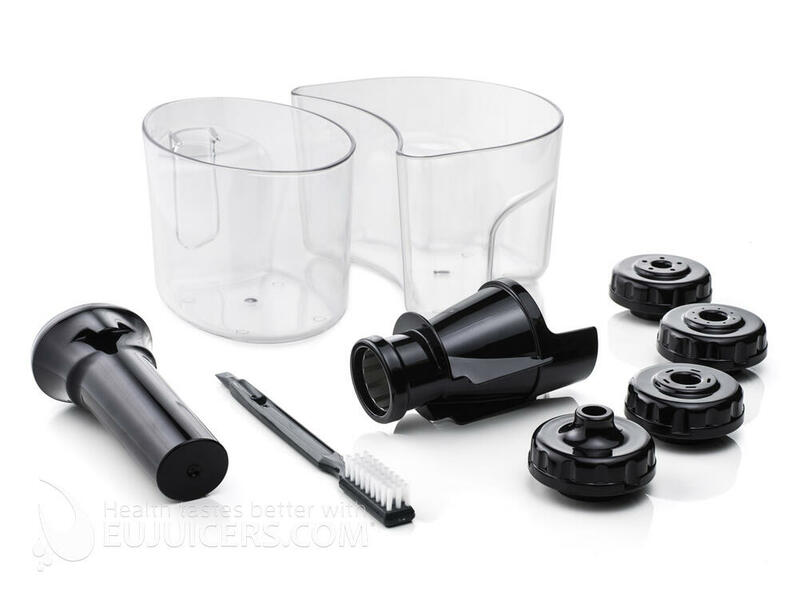 Pulp regulator (black) for juicer Oscar DA-1200. Pulp container for juicer Oscar DA-1200. Juice container for juicer Oscar DA-1200.